This recipe comes from the kitchen of Shari Leard, step-mom and Nourishing Camie cheerleader. Thanks, Shar! Heat oil in large non-stick fry pan or saucepan. Add turkey, onion and garlic. Cook until turkey is no longer pink. Add dry seasonings and mix well. Add green & red peppers and broth. 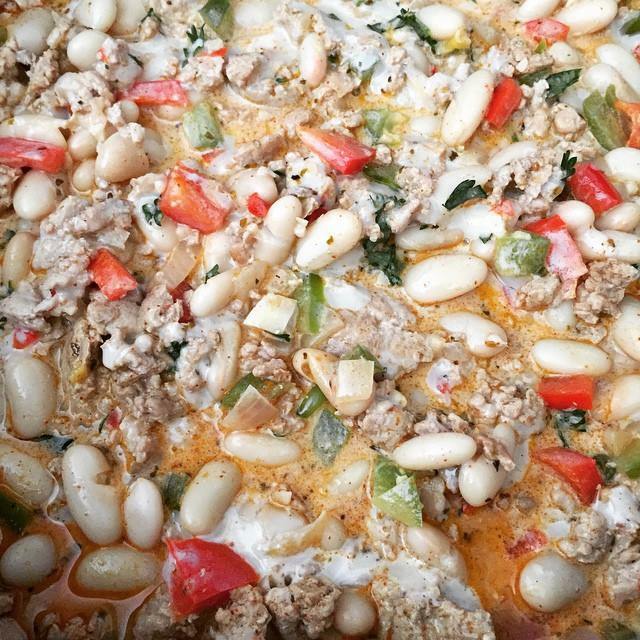 Add beans, cheese, sour cream, & parsley. Heat through, stirring to combine. Serves 4. 281 calories per serving. Turkey Tip: For chunkier chili, substitute ground turkey with boneless turkey breast slices, cut into small pieces.